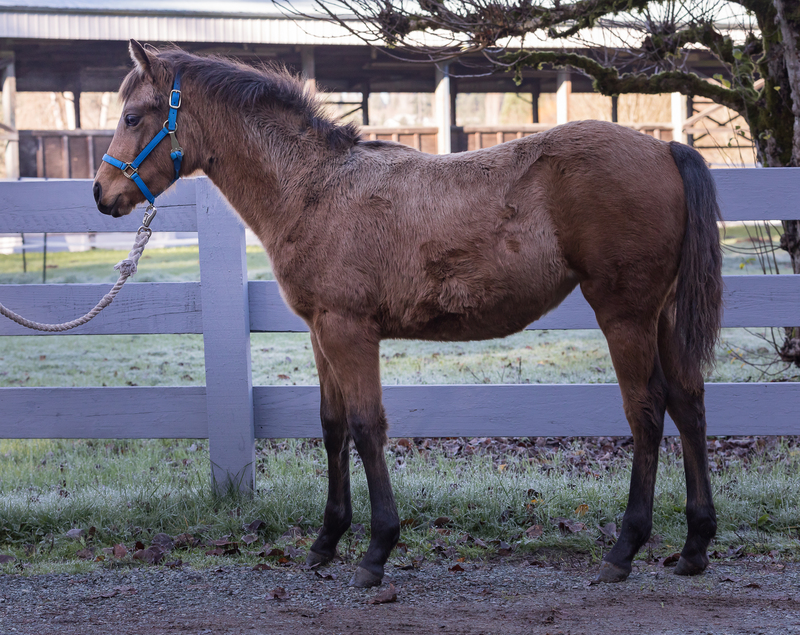 Zoe and her 6 month old filly were seized by Animal Control when their owner refused to seek treatment for a serious wound on Zoe’s leg. It took more than two months of treatment for the wound to heal, but fortunately it is much better now and does not affect her soundness. 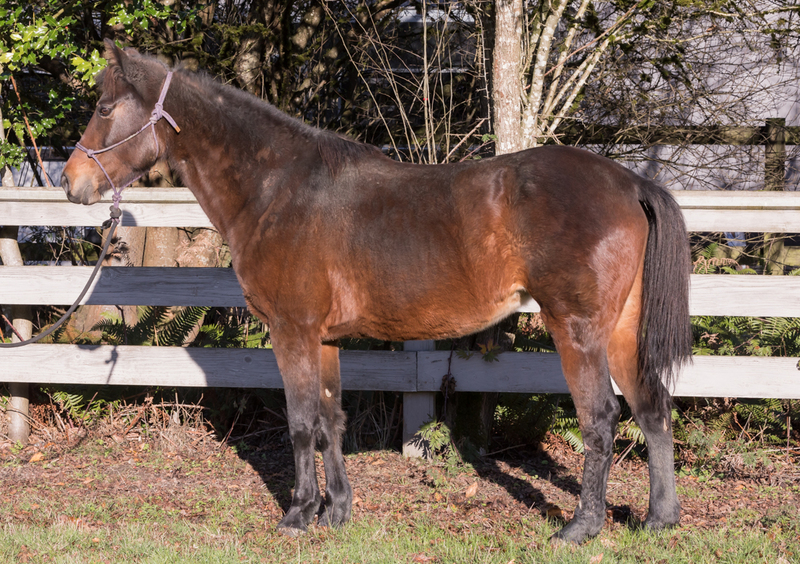 Zoe is a lovely bay mare who is just getting started under saddle but she’s very athletic. She also seems to be a quick learner, and she’s very kind & gentle. 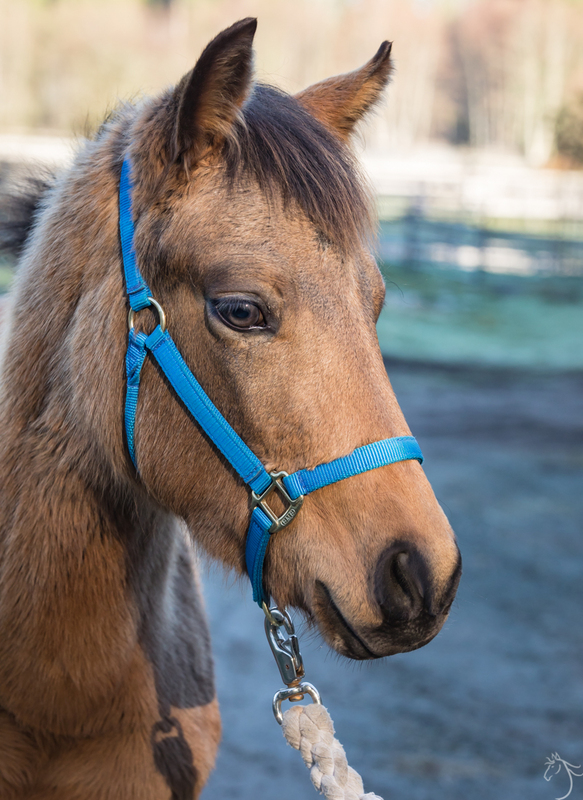 All SAFE horses are adopted with a no‐breeding clause, no exceptions. Zoe is sweet, personable, willing, and ready to go in just about any direction! 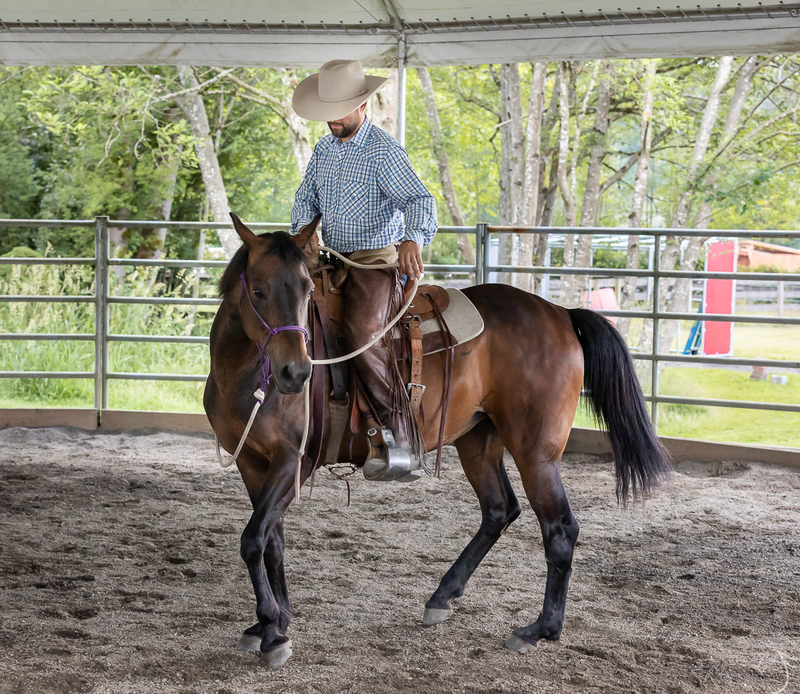 Her willingness and gentle nature were prevalent from the beginning as she was uncomplicated to start under saddle. She can be a bit nervous seeing new things like tarps, so her perfect match would be someone with the skills to support her when she thinks the tarp might eat her! This does not happen often and her riding skills are improving quickly without issues. 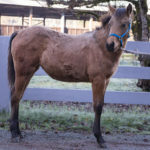 Zoe is turned out with several other mares and is middle of the herd. She is forward, sensitive, willing, and looks to please with a curious and active mind. 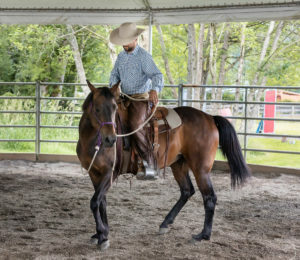 She will undoubtedly excel in any discipline and has a great Horsemanship foundation! Zoe has steadily been progressing with acceptance of the saddle. She is still tight when it goes on, especially if she has had some time off. 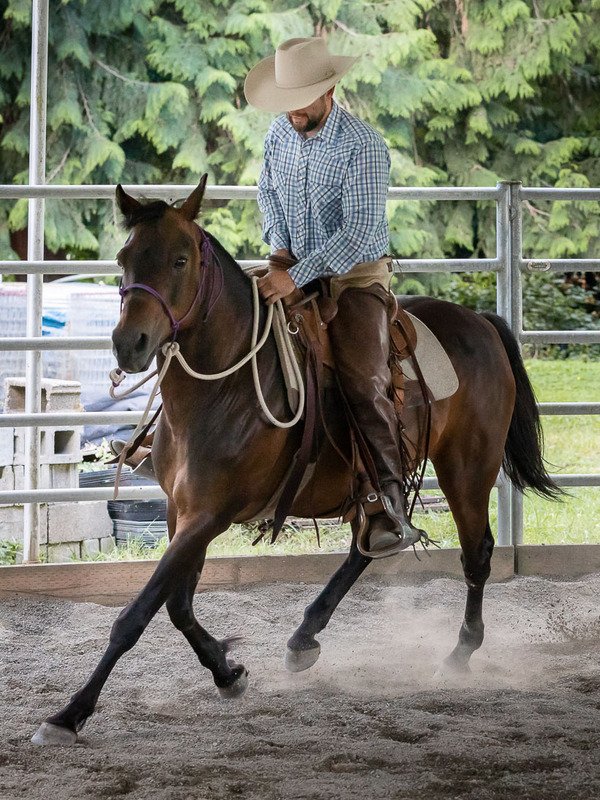 Joel rode her a few more times this past clinic. She was much more accepting of the bit than last clinic. 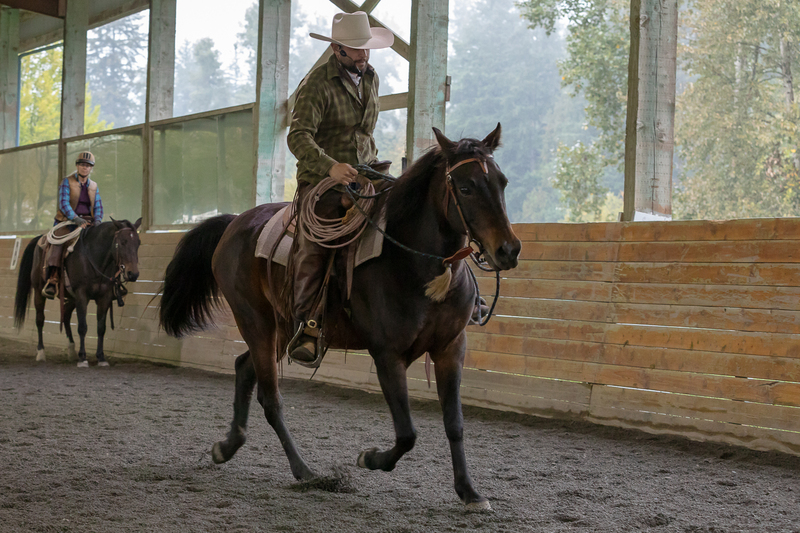 He rode her in the large arena with the other horses during the afternoon riding sessions. Helping her navigate through and around the other horses. Overall she did very well. Her expression is improving when asked to make upwards transitions. We have a few items on our homework list. Her groundwork needs to improve. She has braces in the half circle exercise that if corrected will make her less tight when riding. She has a bit of an issue changing eyes. More rope work and just wearing the saddle a ton more is going to help. We also need to really get the “join up” work cemented. She is still not joining up very quickly or fully turning loose to the process. She is a bit on guard especially when the saddle is on. More miles and time will help along, with consistency in her training. 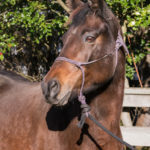 With other horses moving off to adoptions and other volunteers riders helping out, I will be able to commit more time to her. 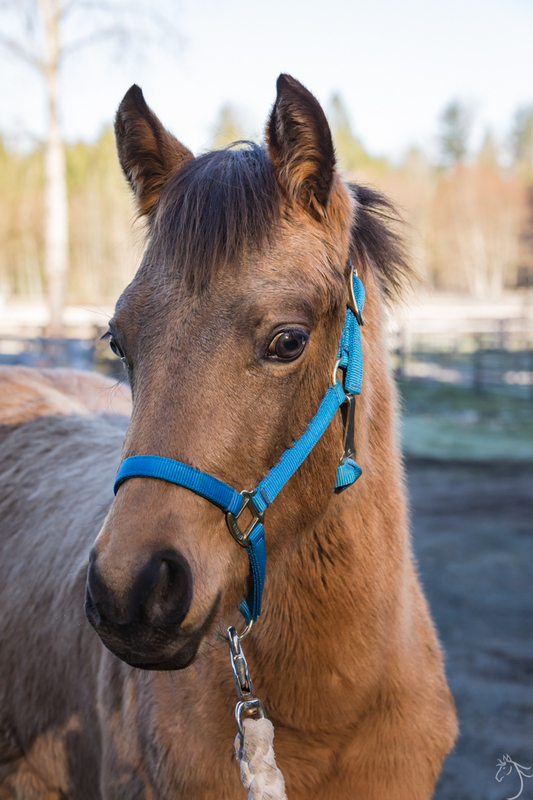 Zoe is a very gentle mare to handle. Sometimes in our groundwork sessions, she can give a bad expression but is easily changed and she moves off. 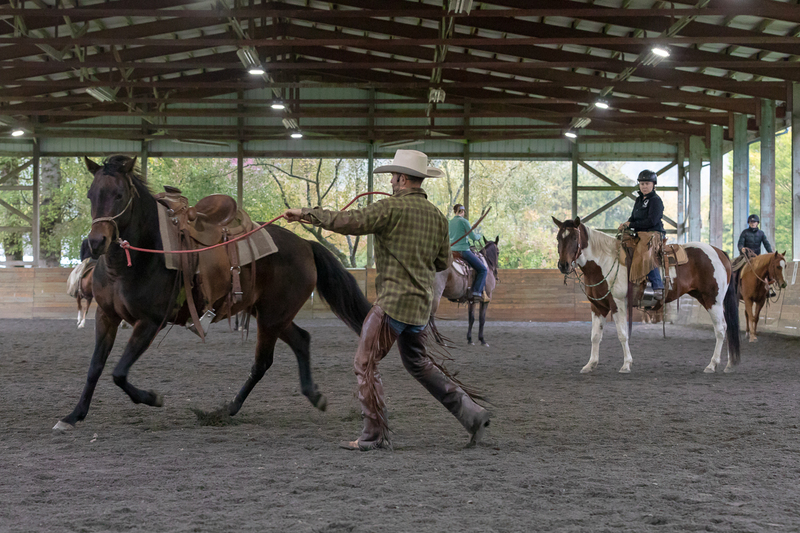 We need to do more rope work for her hind end. She still tries pulling away when asked to pick her hooves. You can easily correct her with a confident hold but she can improve on this. 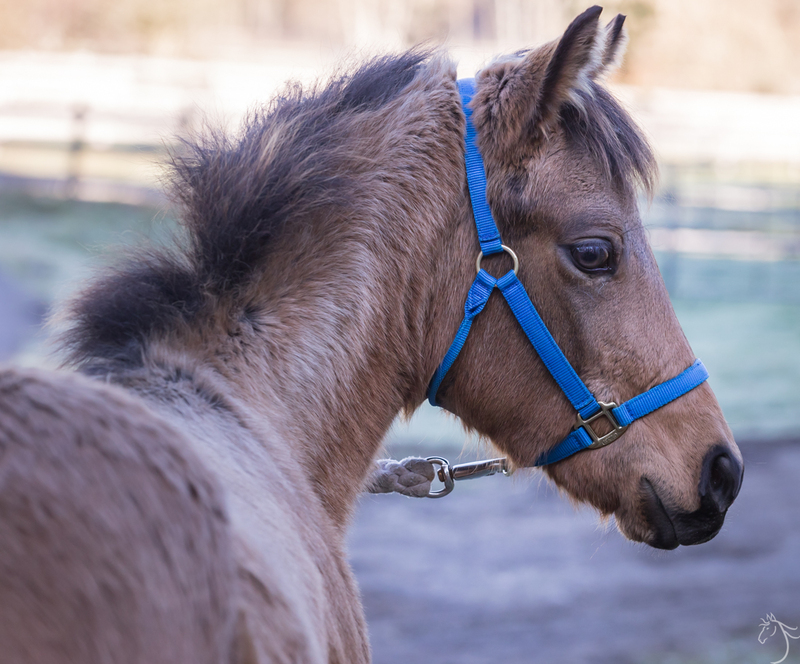 The scars on her legs show struggles in the past with getting caught with fences and wires. It is important we help her learn to give to pressure on her legs instead of resisting and getting injured. 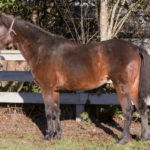 Zoe is available now for a person with experience starting horses. She is uncomplicated and only requires miles to be a great riding horse. 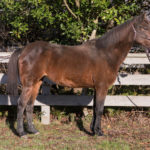 I imagine she will be ready for more of an intermediate rider early December. Zoe has been doing very well over the last few months. 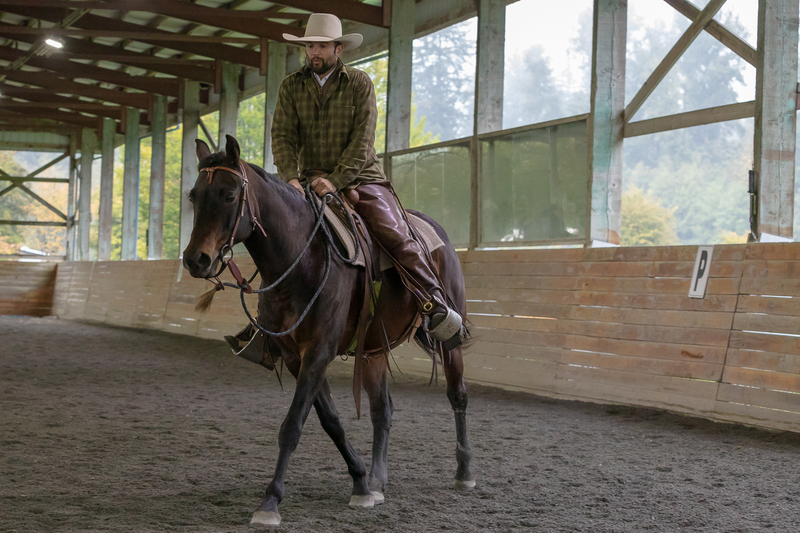 We initially did quite a bit of groundwork, getting her more comfortable with the saddle and eventually a few light rides. 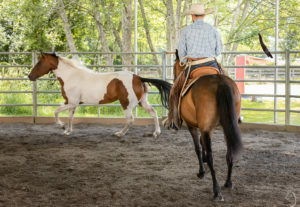 She remained tight with the saddle and her very kinked up tail indicated that she needed more time to settle before accepting a rider. The goal when starting our horses is NOT to get on and “ride the buck out of them.” Instead we hope to do enough to support and relax them into acceptance of what is being asked. Sometimes this is not on our timeline: we need to be patient and see them through until they are ready. 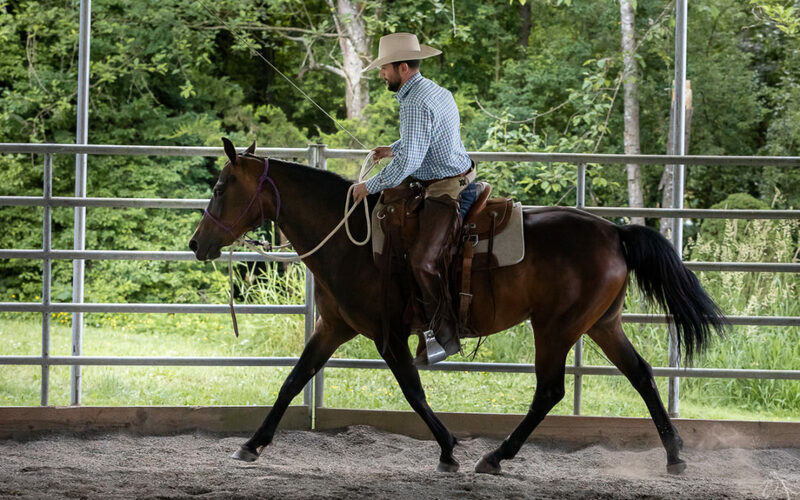 At the last Joel Conner clinic in June, we saw a huge amount of changes since the previous clinic. 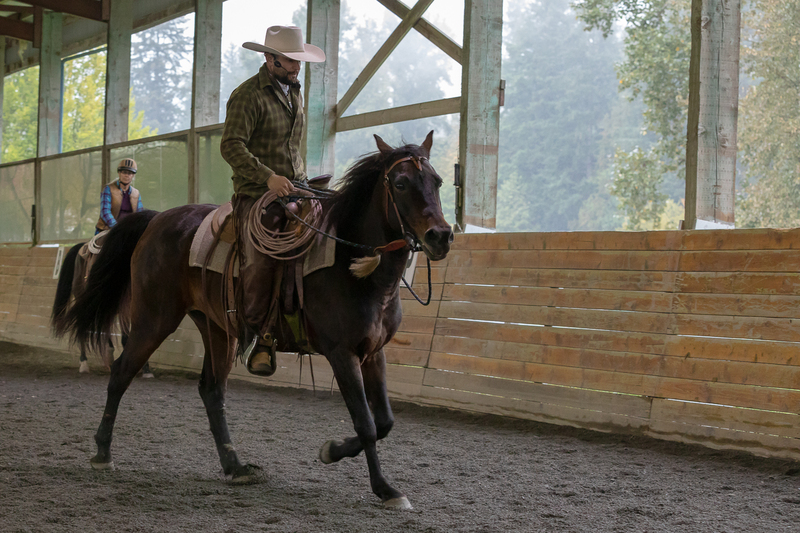 Joel was able to ride her and on the second day Terry was able to get on her without issue. Since then Terry has been working her through a few small issues like acceptance of the bridle. 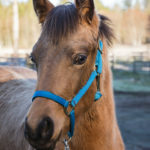 She has been doing great and will be ready to be shown for adoption soon! Zoe has been with us for a little over a month now, and her leg continues to look better all the time. 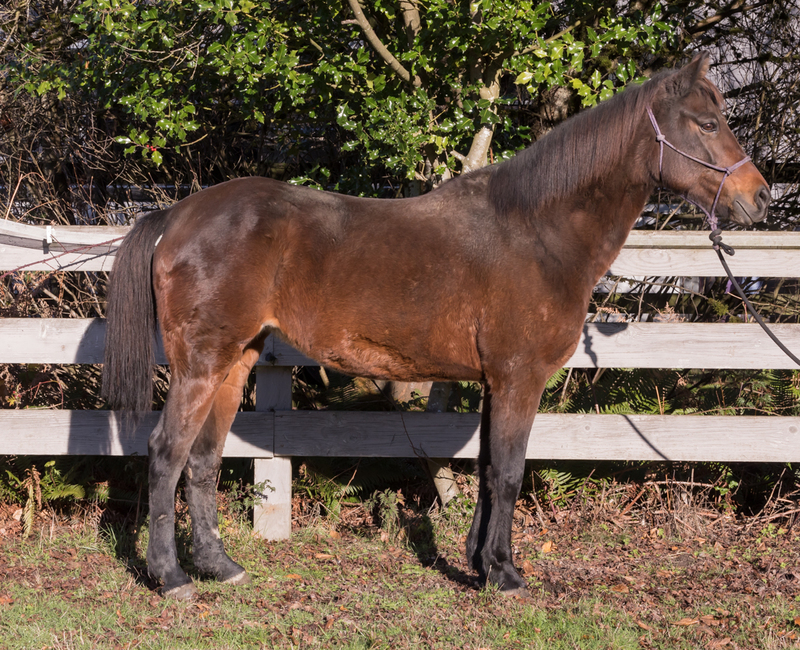 We are relieved that a laceration that was so ugly to begin with has left her with no permanent lameness. 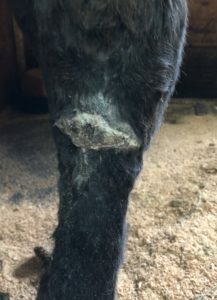 When she originally came to us we were still at the point of cleaning the wound daily with betadine, but Dr. Devine saw her a few weeks ago and said she’s healed enough to where we can discontinue that and just let it keep healing on its own. We monitor it closely, but otherwise now leave it alone, as long as it keeps looking like it’s doing what it should be. Zoe still has a long way to go before this wound has completely healed. It still has a large scab covering it, but it has improved significantly since she has been in the care of animal control and now here at SAFE. 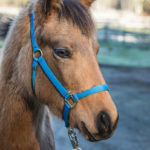 We have enjoyed getting to know this little mare. She’s spunky and fun, and has been very tolerant of the wound care process. 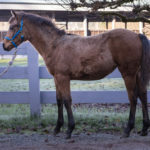 The newest horses at SAFE are a 6 year old Morgan mare and her 6 month old filly. 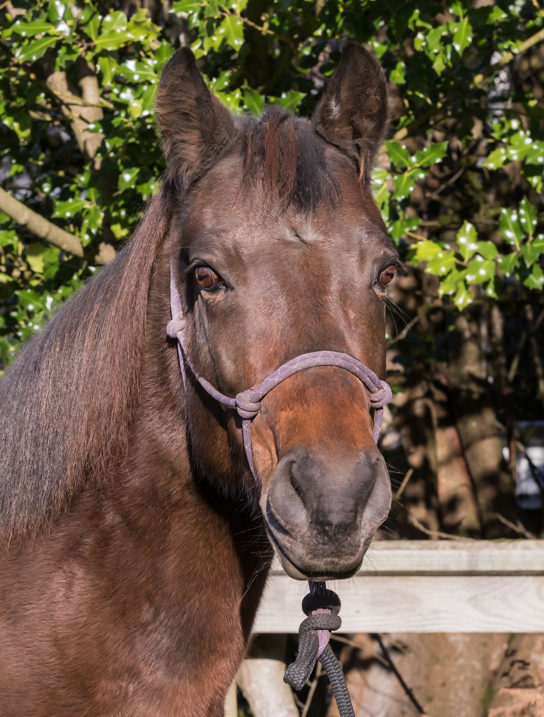 The pair were seized by Animal Control when their owner refused to seek treatment for a serious wound on Zoe’s leg. 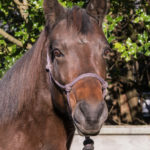 It took more than two months of treatment for the wound to heal, but fortunately it is much better now and does not appear to affect her soundness. 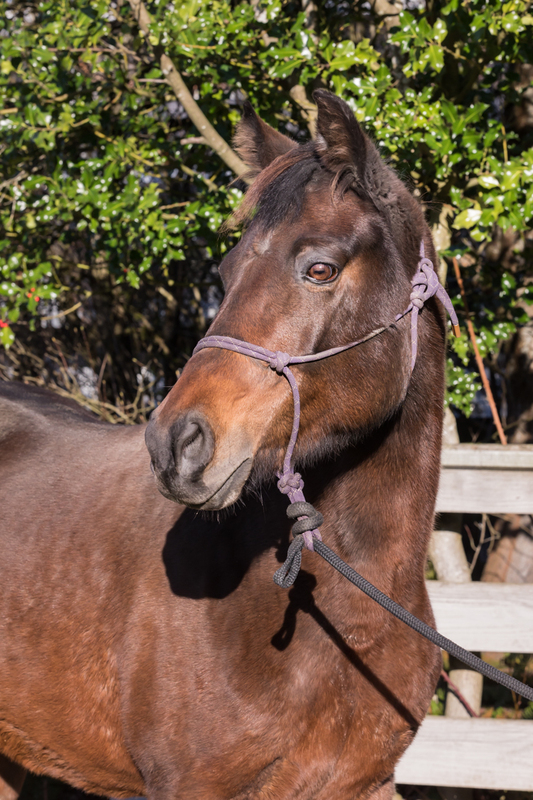 Zoe is a lovely bay mare who is unstarted under saddle but she’s very athletic, judging by her ability to buck in the roundpen! She also seems to be a quick learner, and she’s very kind & gentle. 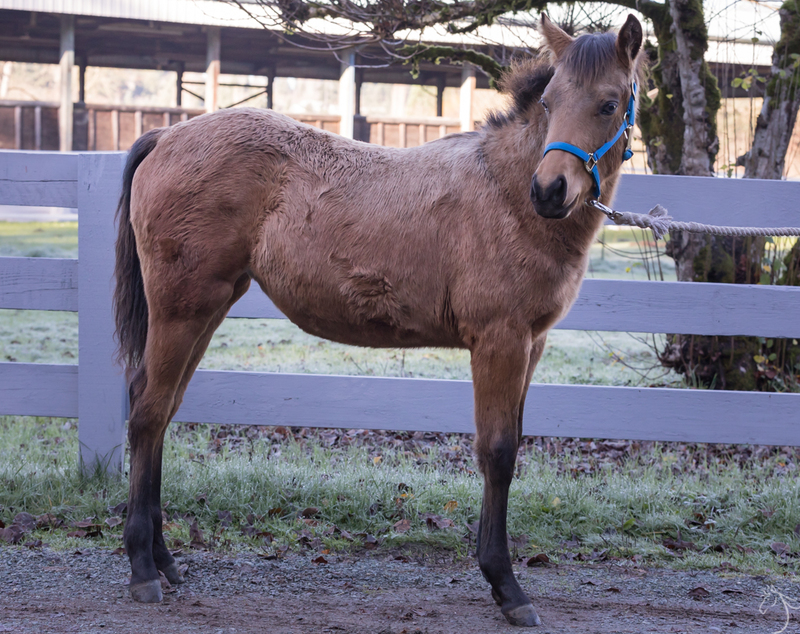 Her filly is an adorable buckskin with extraordinary eyes. 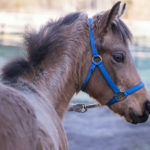 Piper is sweet and cuddly and everyone at the barn is in love with her. She was weaned while in animal control custody so she is kept separately from her mom, and seems quite well adjusted. Click here to sponsor Zoe!